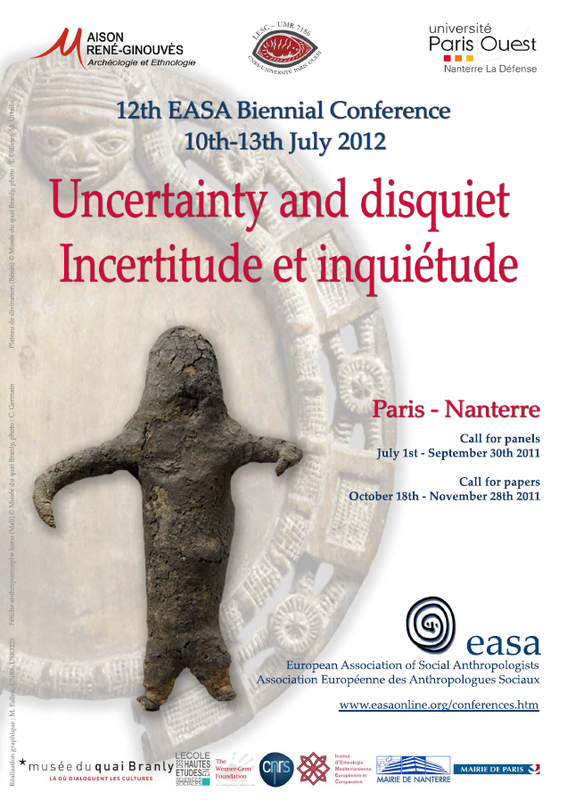 EASA biennal conference 2012 will take place in Nanterre-Paris Ouest University, France, from July 10 to July 13, 2012. Panel submission is possible from July 1st to Sept 30. Paper submission will be possible from Oct 18 to Nov 30.